Happy New Year everyone! I hope everyone had a wonderful Christmas and New Year. Firstly I need to apologise for the lack of blogging, let’s just say November and December were pretty hectic with the whole advent calendar series which was going down on my YouTube channel. Anywho, I’m now back with a bunch of awesome posts to share with you in 2018. One of the things I want to work on in 2018 is my health and fitness- towards the end of last year I seriously slacked on my diet and fitness due to work, however, I endeavour to really work on myself in 2018. So to kick start my new regime I picked up a couple of bottles of Sugar Bear hair vitamins which are now being sold in Sally Beauty UK stores. Since the huge hype on social media (notably very popular with the Kardashians) I knew that one day I had to try out these hair vitamins. Since neglecting my diet (a little) I noticed that my hair started to appear dull and brittle, which is something that I do not desire to continue in 2018. Firstly I need to comment on the taste of these hair vitamins because they are seriously delicious. Not only are these chewable vitamins the first vegetarian gummies on the market but they are also made out of real fruit juice and pectin, which comes from fruit to create the soft and chewy consistency. Despite it’s blue appearance, personally to me they taste like strawberries and raspberries making them my berrylicious treat for the day. Sugar Bear vitamins contain B12 and Biotin which are two of the most important vitamins for the hair . B12 provides nourishment to the hair follicles whilst Biotin helps to prevent hair loss (which is experienced if there is a lack of in the body). So having my Sugarbear hair vitamins twice a day has become an essential part of my routine. I’ve been using them for a month now and I have noticed an extra shine to my hair but I think I need to keep using them for at least 3 months to see a notable difference. So keep an eye on my follow up posts on social media. 1. Bestselling hair vitamin online since 2016. 2. 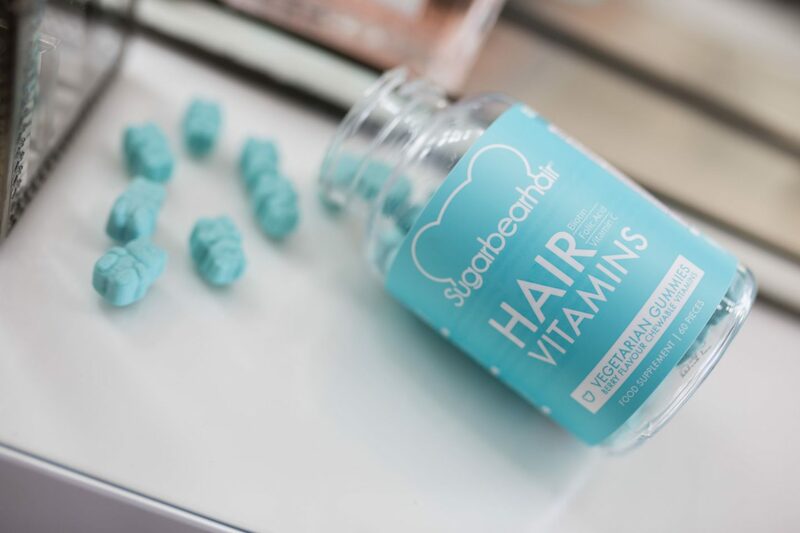 SugarBearHair is the world’s first chewable vegetarian hair multivitamin. As much vitamin A as 4 cups of broccoli. As much vitamin C as 1 cup of cranberries. As much vitamin B12 as 4 organic eggs. 4. SugarBearHair vitamins are wheat free, gluten free, soy free, dairy free, beef free, pork free, egg free, fish free and peanut free! Made in an allergen-free facility. 5. Made in the USA in FDA inspected and approved facilities. 6. Independently lab tested with high rating in safety and vitamin quality. 7. The majority of our customers found their nails and skin quality improved over time while taking SugarBearHair. 8. SugarBearHair has half the sugar content of comparable chewable vitamins. 9. For both men and women! For all hair types, that means you! 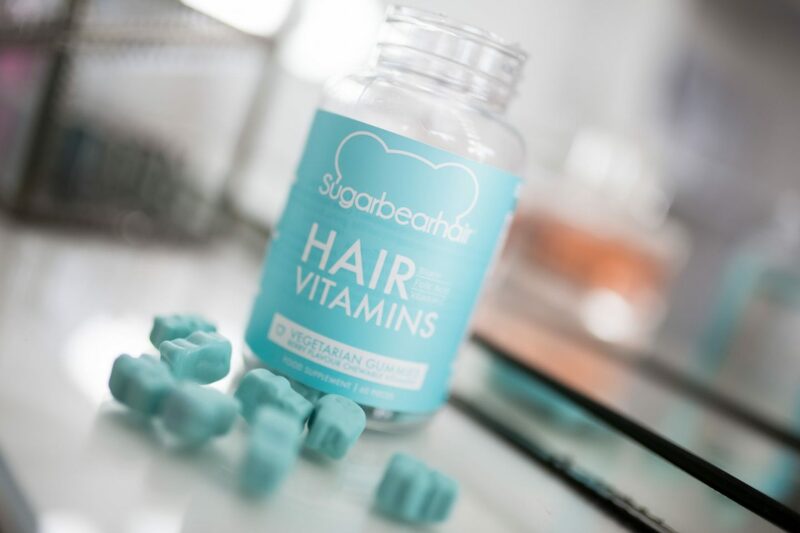 These Sugar Bear hair vitamins are now available to purchase from Sally Beauty UK. Have you tried these before? What do you make of them?